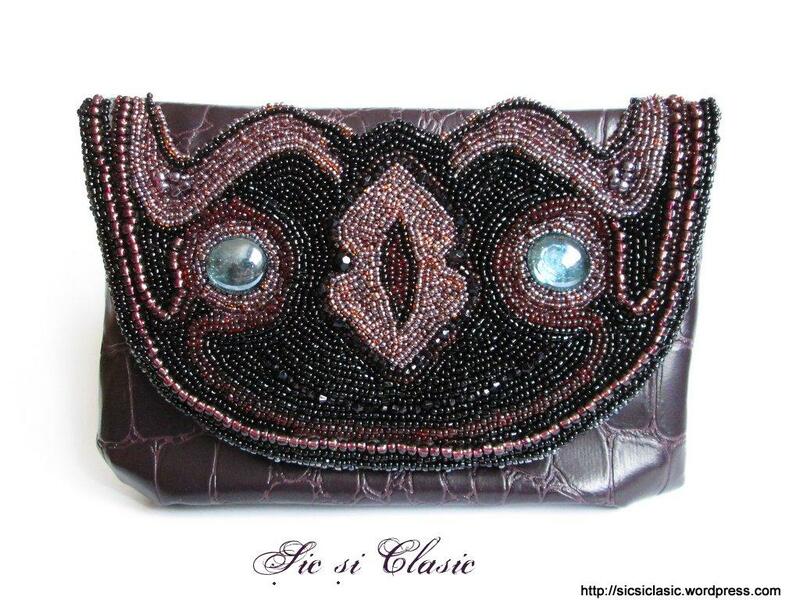 This evening handbag is a full handmade work, from tailoring to sew it and also handmade embroidery with different types of beads and seed beads. Beautiful – the design reminds me of a carnival mask! It looks so precious. Another classic. That bag looks amazing! A little like a cute owl! Este superba, tu le faci? This is gorgeous! How big is it? I love this one…reminds me of an artdeco catwoman! Thank you for stopping by my eat play move blog, and I’m glad I came to see what your site was all about. You are very talented, each post is so pretty here! Are your pieces named? I feel they should be (as a creative writer, naming is one of my favorite things…one dream job I can think of: Chief Namer at a make up manufacturer). Lovely work! It probably took forever to make it and lots of work! Impressive!